There’s no hair-maniac that would do without hair oiling. This haircare treatment is so great that it is gaining more and more fans. If your hair is damaged, dry, shine-less or excessively falls out, you should use a cosmetic oil. You will surely achieve great effects. You don’t believe it? Do hair oiling and see it for yourself. Although hair oiling is an immensely popular and effective treatment, most girls still do it wrongly. This type of hair and scalp care is not at all difficult. Hair oiling consists in applying a suitable amount of an oil that matches our hair porosity. The ritual has been known and used by Arabic and Indian women for a long time. If you like to watch Bollywood films, you must have seen these women and their beautiful hair. Wouldn’t you like the same (maybe even better) hairdo? Before you start oiling your hair, read about the biggest mistakes made by hair-maniacs. Avoid them like the plague! Applying an oil to dirty hair and scalp is a very big mistake. When your strands are covered with hair mousse, spray and silicones whereas sebum, dust and grease settled on the scalp – even the best oil will fail. There is no cosmetic that would be able to penetrate through such a layer of impurities. It is important that active and nutritional ingredients are absorbed in hair and scalp during hair oil treatment. Therefore, you must wash your hair thoroughly before every treatment. Use a cleansing shampoo with SLS (sodium lauryl sulfate). More is not necessarily better. Minimum amount works better in hair oil treatment. Applying such a dose at least once a week is a great idea. Do you know what happens when you apply too much oil? First of all, scalp and hair may get greasy because sebaceous glands will produce more sebum. Second of all, you must wash hair twice to remove excessive oil, and use a strong cleansing shampoo that can make your hair and scalp dry. You’re wrong! Low, medium and high porosity hair needs regular oil treatment. Keep in mind that if your hair is low porosity, you don’t need to oil it as often as damaged and dry strands. Hair oiling protects low porosity hair from UV rays, heat of styling tools, damaging substances and environmental pollution. What is more, combing will be easier whereas blow-drying – quicker. Oiling low porosity hair has another important feature. It smooths and closes hair cuticles so keeps low porosity strands from turning into more porous. Hair oiling won’t bring any effects if you pick an unsuitable oil. To make things worse, it might even worsen the condition of your hair and scalp. So, what can we do to make the most of hair oiling? Firstly, identify your hair porosity. There is low porosity (healthy, shiny and smooth hair), high porosity (dry, curly and damaged hair) and medium porosity (combination of low and high porosity hair). Use saturated oils and cosmetic butters in low porosity haircare. Nourish your high porosity hair with polyunsaturated oils. 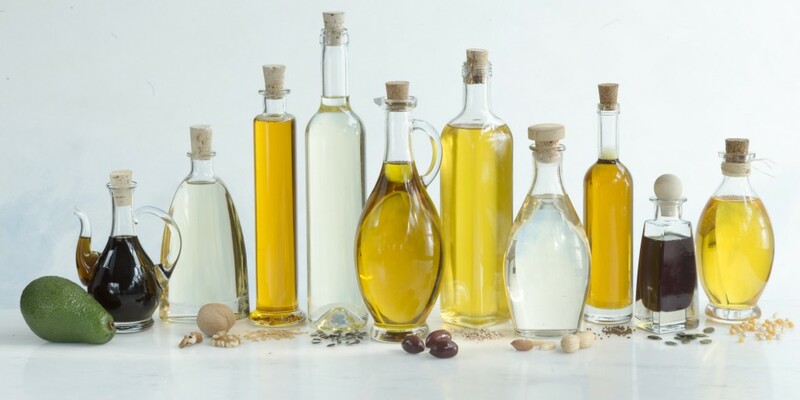 Monounsaturated oils are ideal for medium porosity. 5. Hair oiling is not enough! If your hair is very dry, it falls out in excess, the scalp is red and itching – hair oil treatment needs some support. Use other products in your daily haircare. Masks, conditioners, serums and mousses come in useful. Remember that the main components of best products are natural. Most of all, you should try out cosmetics with plant and herbal extracts, vitamins, minerals and other conditioning substances (keratin, biotin or moisturising components). 6. None of hair oiling methods proved successful? There must be some techniques that you haven’t tried yet. Girls share their hair oiling experiences and like to tell other girls how to perform it in a proper way. There are lots of ways of applying oils. You can spread the product on clean, dry or damp strands. The oil can also be applied after blow-drying to style a hairdo and as a finishing touch. It works excellently when you add it to masks and conditioners.